Teacher Appreciation Gift Stickers On Sale Today! Jane.com currently has this Teacher Appreciation Gift Stickers for just $3.99! 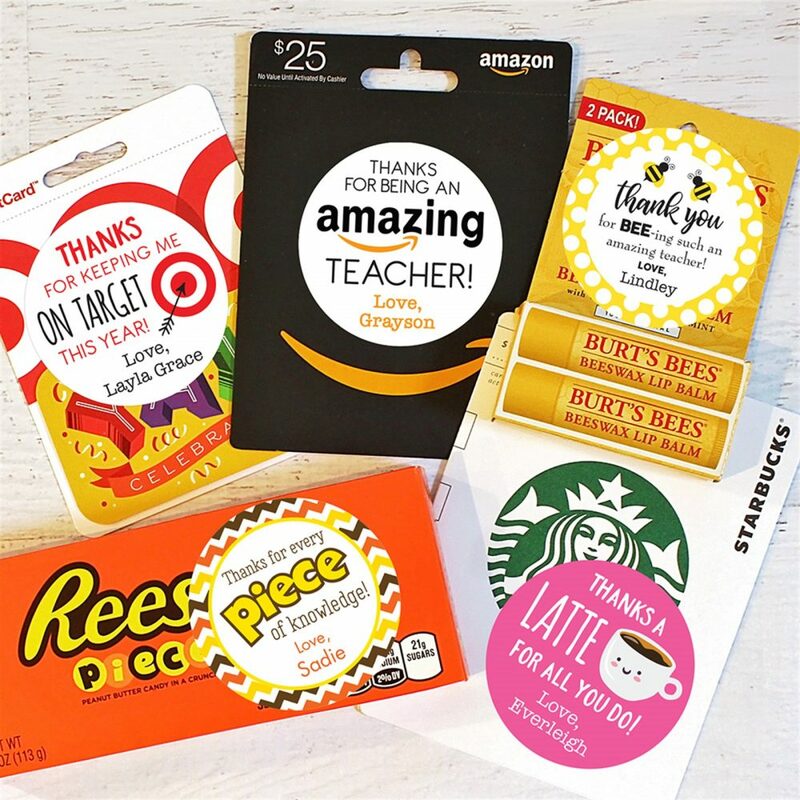 Your child will be the star of their class with personalized teacher appreciation stickers!These stickers make it SUPER easy to give thoughtful, memorable gifts. Sheet of 12 glossy labels 2.5 in diameter Simply peel and stick!Please note that at 2.5 in diameter, these stickers are larger than a gift card by itself. But, they can be applied to the paper backing that most gift cards come with. And of course they are perfect for all sorts of other items, including candy, gift bags, gift boxes, and more!Shipping on additional sheets of stickers is FREE.